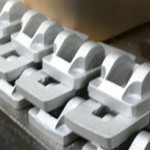 Ball Brass & Aluminum Foundry continues to provide customers with quality casting services at very competitive pricing. From simple to complex we produce a wide variety of Leaded and Lead-free Brass, Bronze & Aluminum Alloys. Elbows, valves, flow meters, etc. 1-150 lb ea. Available in copper and aluminum alloys. 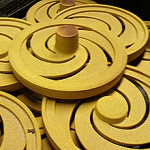 Impellers, various sizes, castable from 1 lb to 150 lbs.in customer specific alloy. 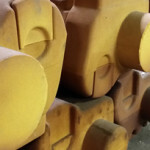 Aluminum castings in various sizes from a few ounces to 160 lb ea. Flask sizes from 12x12 to 30x30. In-house heat treatment available. 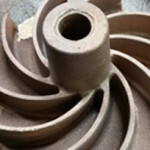 Open-faced impellers castable to customer specifics available in small lots to thousands. Larger copper alloy valve bodies, nozzles, etc. Castings weighing a few pounds up to 200 lbs. Flask sizes available from 12x12 to 30x30. Cores made in house. Shell, CO2, and oil core making processes are available for small quantities to thousands.